Conventional wisdom states that the first U.S. Postal counterfeit appeared in 1894. Maybe this was the first … maybe not. 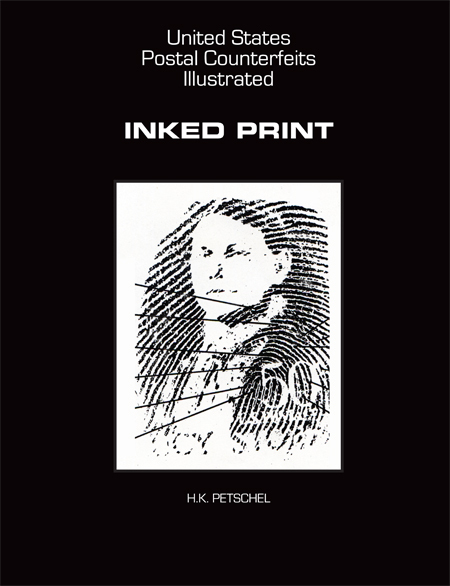 Inked Print: United States Postal Counterfeits Illustrated provides reproductions of scores of historical counterfeits and an amazing collection of rare and original documents cataloging the product of the crime of stamp counterfeiting. In this, his third book on the subject, author H.K. Petschel uncovers the next phase in the history of stamp counterfeiting, when it fell into the dark underworld of organized crime, from 1940 up to the present day. 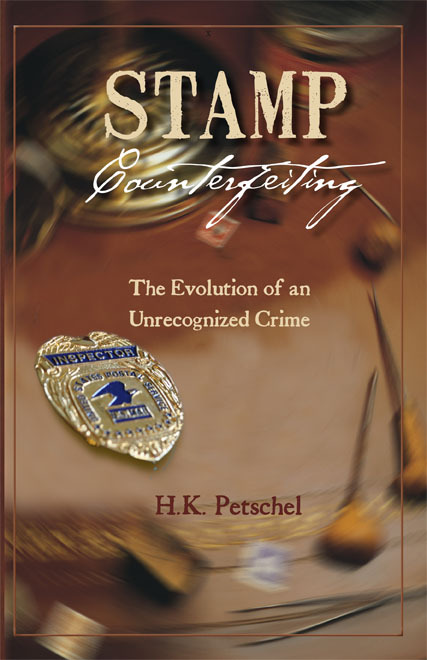 More Stamp Counterfeiting: The Perfect Crime follows up Stamp Counterfeiting: The Evolution of an Unrecognized Crime, which documented stamp counterfeiting’s origins with mom-and-pop type crooks in 1894 to its progression into organized crime by 1940. 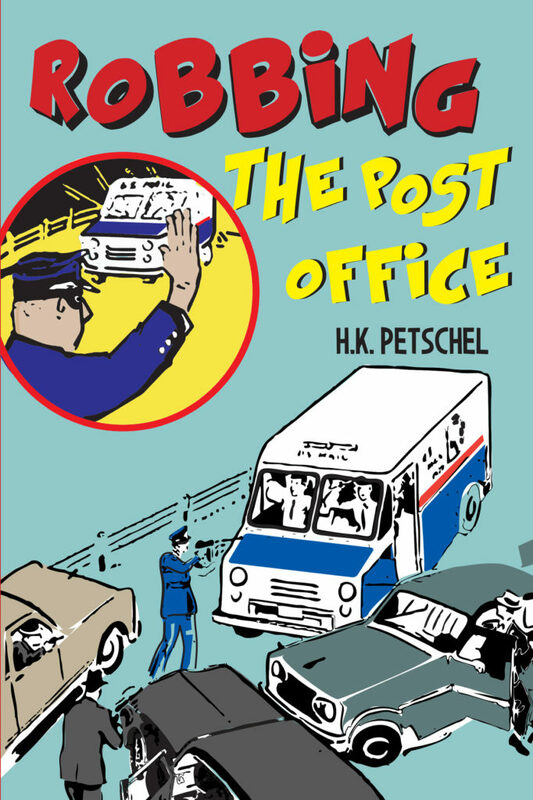 A former postal inspector, Petschel’s professional background and lifelong fascination with these “little bits of paper” come through in this latest, enthusiastic look at the historical record of stamp swindles. Stamp Counterfeiting: The Evolution of an Unrecognized Crime looks into an intriguing crime that originated in Chicago in the 1890s, when the United States was experiencing one of its economic meltdowns. A time and environment that attracted charlatans and crooks, the so-called Gilded Age drew people to the cities where they attempted to make their fortune, some by nefarious means such as counterfeiting stamps. 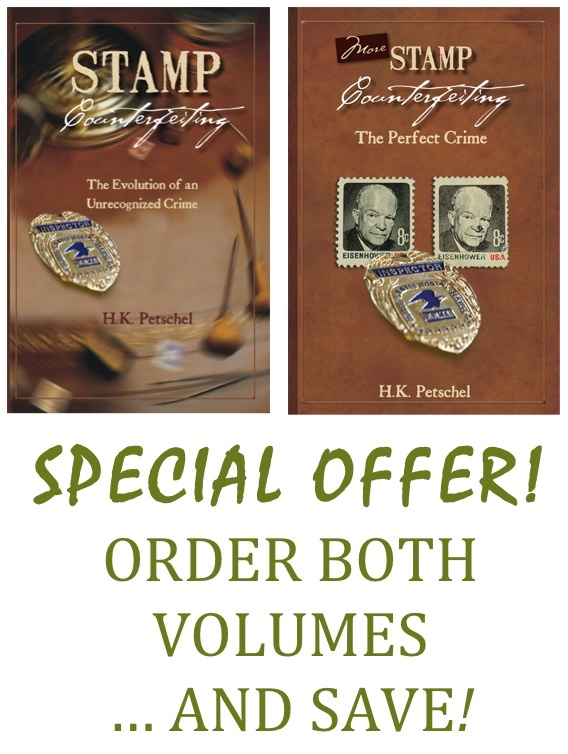 Here’s a special offer: Combine your purchases of these classic volumes on the history and machinations of stamp counterfeiting by acclaimed authority H.K. Petschel, and save. Get both books for $50. 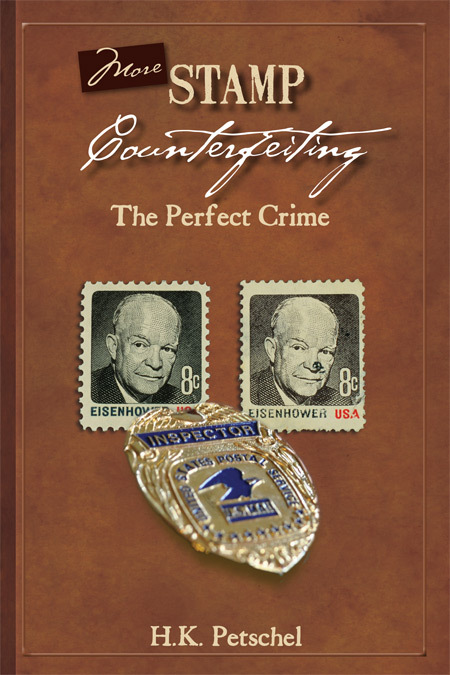 Order both his original book, Stamp Counterfeiting: The Evolution of an Unrecognized Crime and his just-published sequel, More Stamp Counterfeiting: The Perfect Crime together for $50. That’s a $4 savings over those books if ordered individually. Want even more savings? When you start the check-out, be sure to type in the coupon code STAMPED and get free shipping. Click to to the individual product pages to learn more about Stamp Counterfeiting, or the second volume More Stamp Counterfeiting – but to get the special 2-book discount, come back to this product page to order.